Where have you been fishing? The best - fishery, instructors, what do you think is the best of the lot? 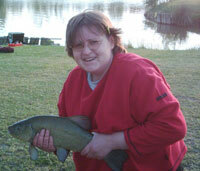 Post a note here to let us know where is fishing best, who the best instructors are, the best gear, baits, whatever. Liams Villas report. Matt's canal pike. What fundraising ideas do you have for 2008? And what are you prepared to do? All the latest gossip about working parties at Horseshoe Lake. - When is the next working party? - What jobs need doing? Have you heard any gossip about fishing which may interest our members?.......Bradford V Morecambe match (hahaha) - All other gossip goes in here!! Everything conservation & wildlife related.